"Huge announcement," Lil B says to introduce his new psa. Speaking through J. 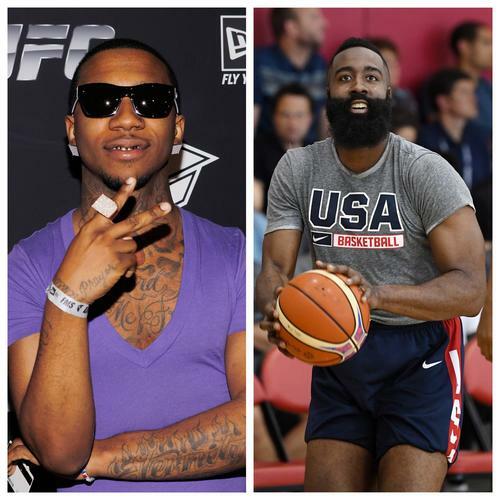 Prince Junior's Instagram account, The Based God proclaimed: "ey, James Harden. Shout out to Houston. The curse is officially done." Finally! He went on to lift the curse on an episode of First Take about a year ago, but now he's lifted it again, maybe because the Rockets couldn't beat the Warriors in the Western conference finals and they need a doubly lifted curse. The Harden curse is not the only one. The Based God also put a hex on Kevin Durant and challenged him to a game of 21 in his classic track "F*ck KD (KEVIN DURANT DISS)." The video for the song (below) features Lil B showcasing his basketball skills. MadeinTYO Announces Debut Album "Sincerely, Tokyo"
Cardi B Addresses Met Gala Fight: "I Simply Don’t Want People Too Close"
Jhene Aiko Flaunts Gigantic Back Tattoo: "Half Dragon, Half Phoenix"